Would you recommend Slackin to a friend? This is a great bit of functionality. I've had to get the same functionality using a typeform, and that experience feels a bit janky. Nice work. Been using this and it's great. They even have a deploy to heroku button that makes it pretty accessible to new coders trying to build a community. I really like the currently online count, really makes it clear how active the community is. Nice touch. Brian from Five Minute WatchKit here. 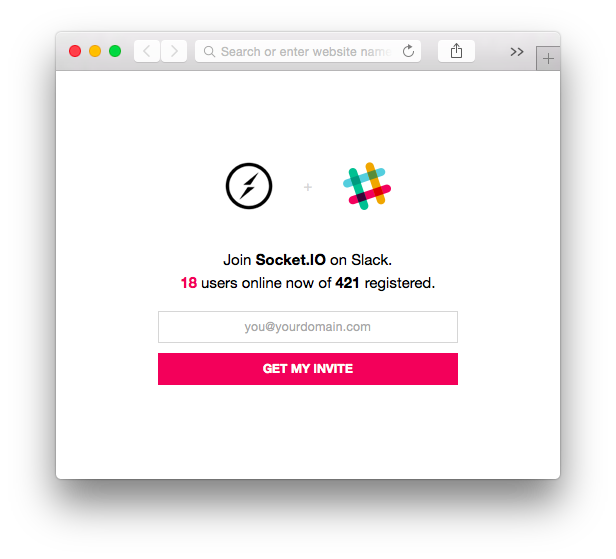 This was so damn easy to deploy and it makes creating a public community on Slack a breeze. I'm glad Robleh posted it.